Invisalign® is one of the advanced treatment options we offer at Renaissance Dental. Invisalign is a revolutionary orthodontic system that allows you to straighten your teeth and improve your oral health without using metal brackets. One of the greatest benefits of Invisalign is that it is a virtually invisible way to achieve a straighter, healthier smile. 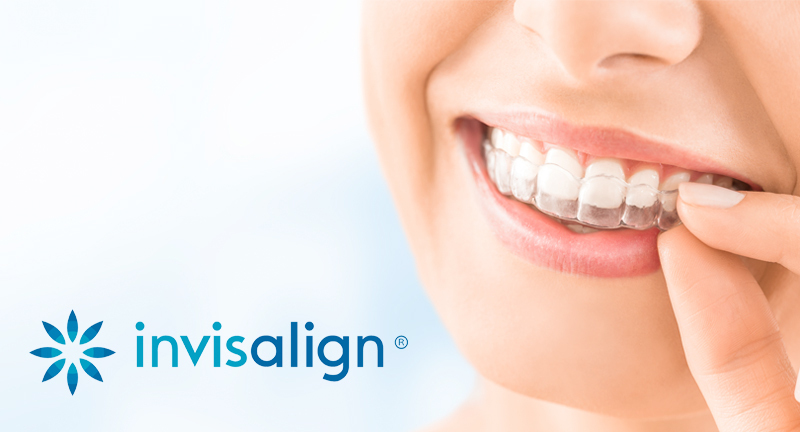 Invisalign clear aligners are made of smooth, transparent plastic that is both discreet and comfortable. In addition, the aligners are removable; this allows you to remove your aligners as needed for brushing, flossing, and eating. Orthodontic treatment has never been so easy! Invisalign also holds great benefits for your oral health. Because you can remove your aligners, you are able to maintain good dental hygiene during treatment. Properly aligning your teeth also helps to improve the health of your teeth and gums, as well as your smile’s function. And of course, a straighter smile is more attractive and inviting, too! For more information and to set up your personal consultation with our dentist, Dr. Michael Sanchez, we invite you to contact us today. We enjoy caring for patients of all ages at our comfortable, relaxing office.